March 15, 2019. It was my last Friday in Melbourne and as my Working Holiday Visa year in Australia drew to an end, I found myself with an awful lot of “adulting” left to do before my flight to Christchurch on the 20th. I’d just settled down in front of my laptop when I started to receive messages from friends and family back in the states asking if I’d gone to New Zealand yet. Several minutes later, glued to my laptop and shuffling through live updates and breaking news reports, I learned that a mosque in Christchurch had been brutally attacked. Not long after, I watched in horror as a second attack at another mosque happened across town and the city was put on lockdown. I sat there for hours, frozen in front of my laptop with tears streaming down my face, reading awful things about the nature of the attacks, the disgusting ideology behind them, and how fifty people were murdered just because they happened to be attending Friday prayers that day. My heart broke instantly for those who had been killed and their families, but also for the people of New Zealand. While something of this caliber might (unfortunately) be a familiar occurrence back home in the US, violence of this level just doesn’t exist there. 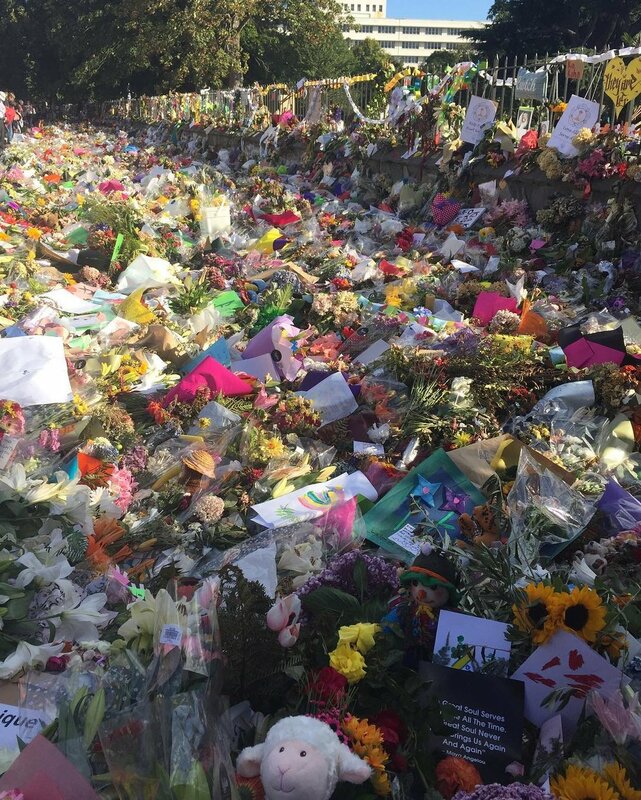 With just five days to go until my flight, I decided to keep an eye on the situation and see how things were going in Christchurch. I wasn’t afraid, but felt compelled to come and see if there was anything I could do to help. New Zealand’s Prime Minister, Jacinda Ardern, has done a phenomenal job showing what it means to be a kind, strong, and compassionate leader when people need her most, and I felt absolutely safe and confident in my decision to come here. One week later, on Friday, March 22, I joined more than 5,000 people in a show of support as Friday prayers were held outside in South Hagley Park, with folks from Al Noor mosque gathered on one side and a large crowd of welcomed outsiders on the other, keeping watch as our Muslim brothers and sisters prayed. 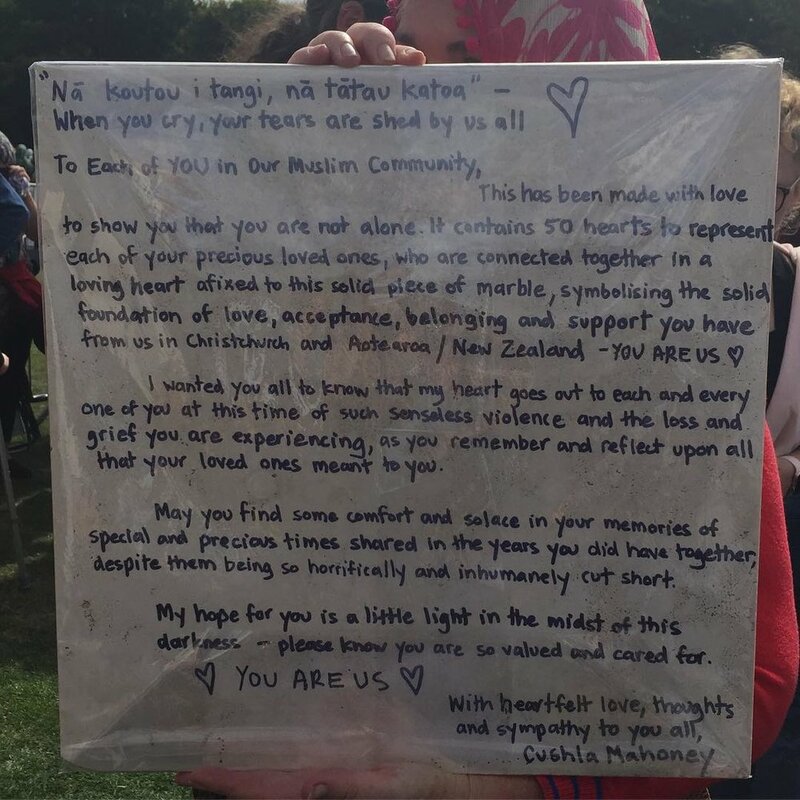 It was one of the most profound examples of humanity I’ve ever witnessed, as thousands of people from all walks of life, ages, backgrounds, religions and nationalities — and most women donning headscarves as a symbol of solidarity — showed up for their fellow humans in their time of need, sat there silently, and offered hugs, condolences, flowers, and signs of encouragement. 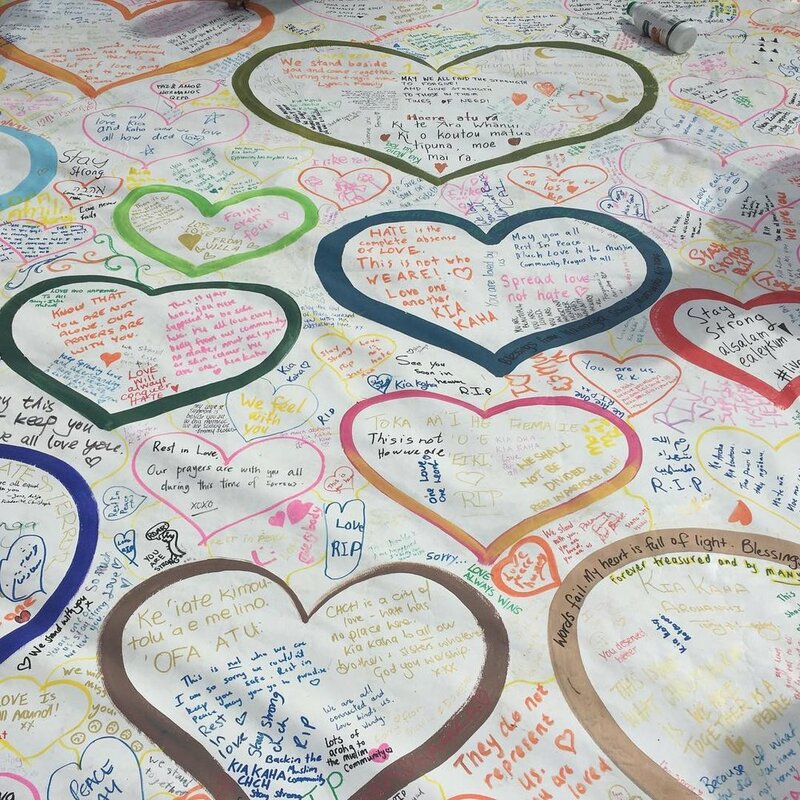 In the park, people scribbled notes of encouragement and remembrance on a large banner and along the walls of a bridge. 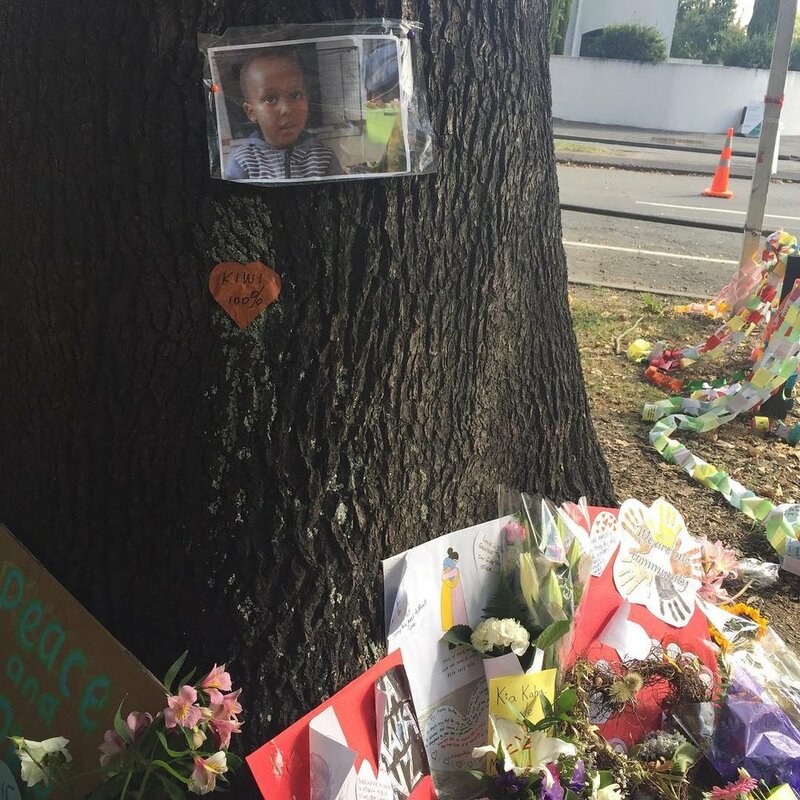 On the left side of South Hagley Park across the street from Al Noor Mosque, people left heartfelt tributes to the fallen by trees. I spent the better part of Friday in South Hagley Park chatting to some of the Kiwi people seated around me, an older gentlemen who said he had some Muslim friends and wanted to be there for the community and a woman named Cushla who gave me a big hug and kept asking me if I was okay whenever she heard me sobbing or blowing my nose. She also made this wonderful sign and delivered it to the mosque afterward. I’m told there was a March for Love on Saturday, but I was so emotionally drained after everything I’d seen Friday I ended up sleeping til 3pm the next day, so I missed it. I did go to the Remember Those Who Lost Their Lives Vigil in North Hagley Park on Sunday, an event that included Māori songs and tributes and the reading of all the names of the victims. Again, thousands showed up. 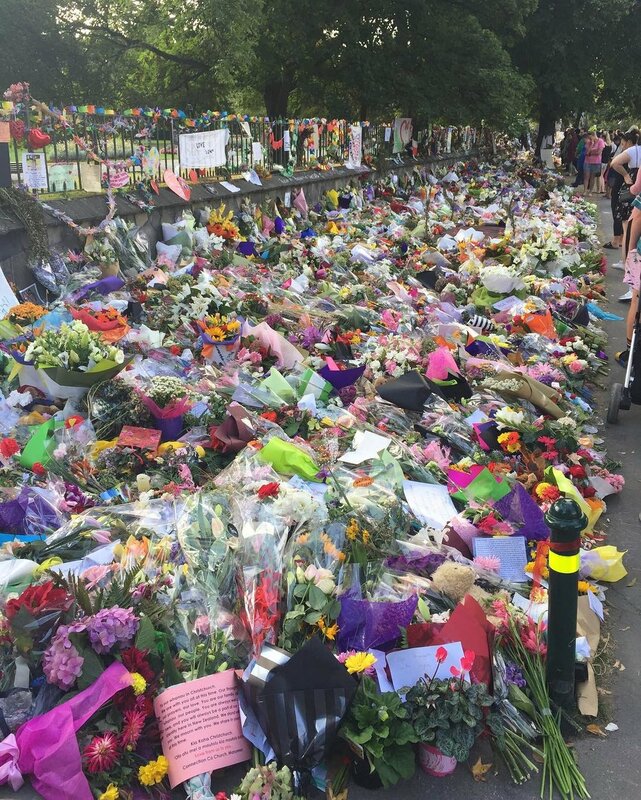 Perhaps the most moving sign of how the people of New Zealand are dealing with this tragedy is the street of flowers along Rolleston Avenue, on the right side of North Hagley Park. I joined in the crowd as we strolled along reading notes left behind by sympathetic New Zealanders and people from all over the world. I am completely overwhelmed by the amount of love, hope, and humanity I’ve experienced in the last few days and can’t help but be in awe of how people came together in such a big way after something so terrible. 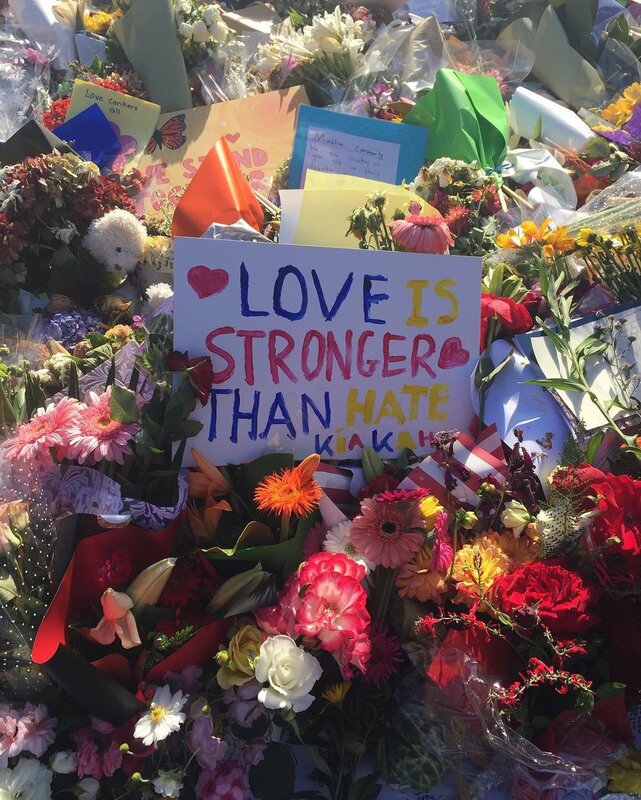 I keep hearing the phrase, “Kia Kaha,” which means, in Māori, “Stay Strong.” I know it will take time for the nation to mourn and for hearts to heal, but know that in the end, love will win. 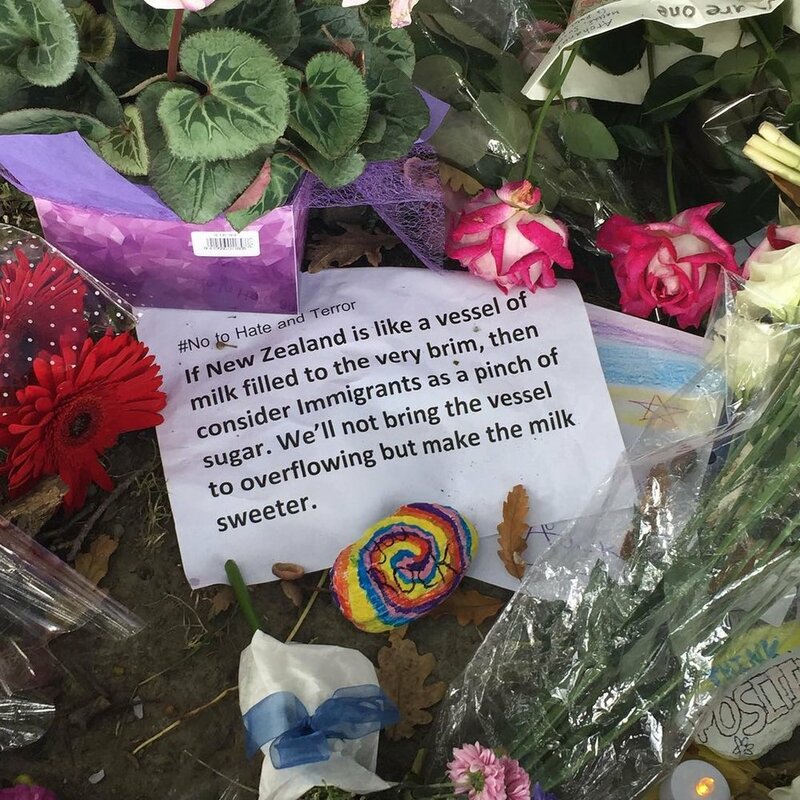 Thank you to the people of New Zealand for restoring my faith in humanity.